Hi all, after many as an admirer i have my first Renault and a pretty special one i think. 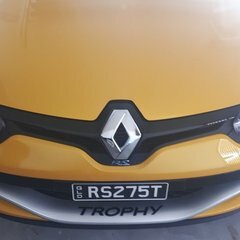 Now the proud owner of an rs 275 trophy. Look forward to enjoying with like minded enthusiasts. Welcome. Great car. Got any pictures?